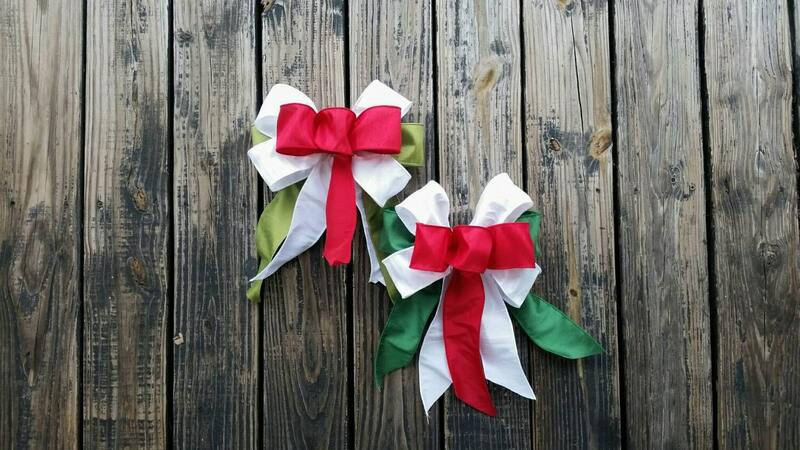 I love handmade bows. I love getting gifts and giving gifts with a beautiful, handmade bow topped box. 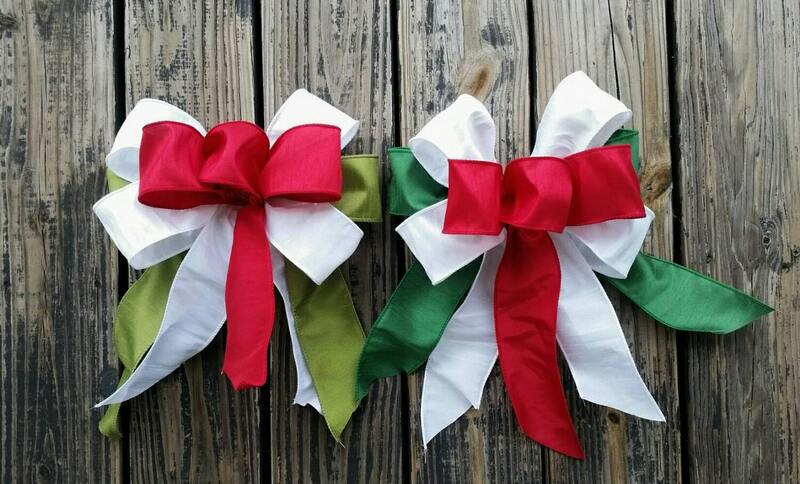 Bows also add a bit of festive cheer to any holiday or occasion. 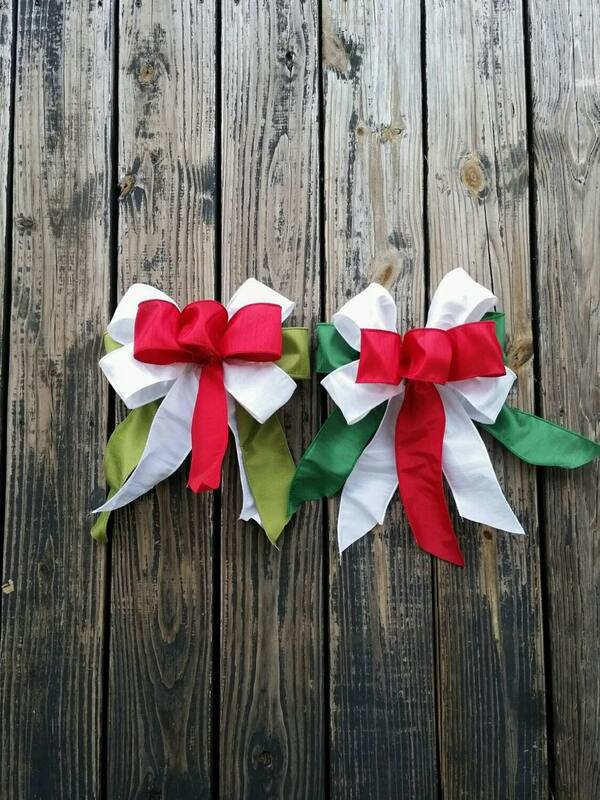 From weddings to Christmas to parties... no matter the season bows can be incorporated into any decor. 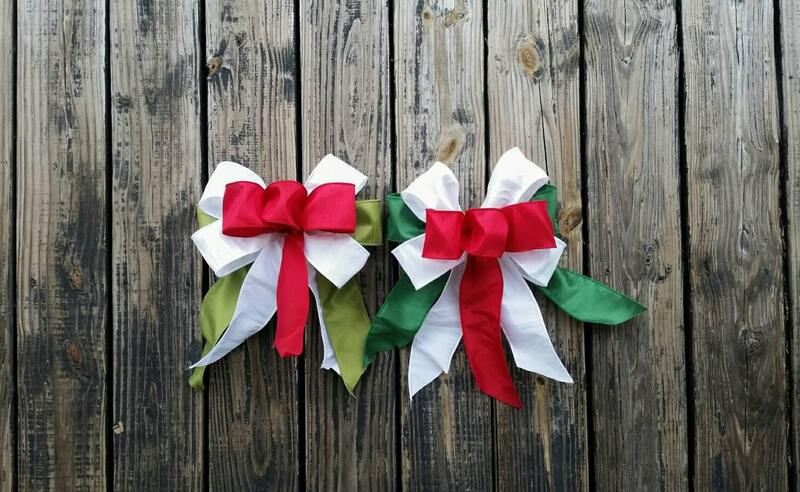 You can add them to your existing decor, use as a tree topper, replace worn and faded wreath bows, bedeck your mail box, or add Technorati garlands. 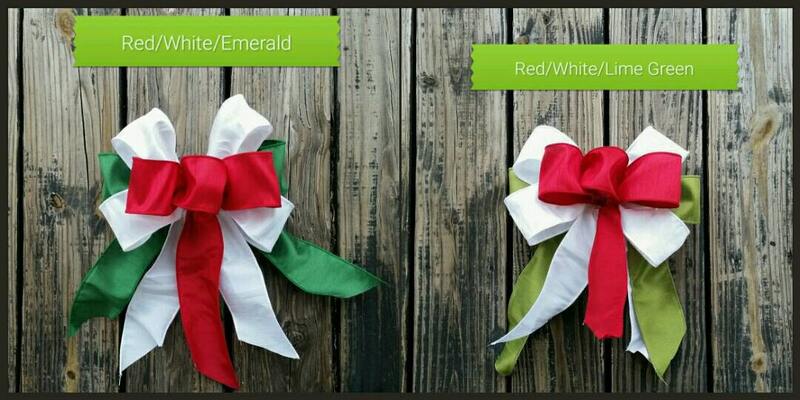 You have two multi color bow combinations to choose from... Red/white/emerald green or red/white/lime green.They measure approximately 10 inches wide by 12 inches long.